In May 2013, we officially launched our small business phone service, Ooma Office, in the U.S. Almost one year later, we’re bringing Ooma Office to the thousands of Canadian microbusinesses with one to 10 employees. We’re making purchasing easy, too. Starting Jan. 8, Ooma Office will be available in Canada through Amazon, Best Buy Canada, Canada Computers, Costco, Future Shop and Staples. We’re no strangers to Canada, having launched our personal phone service, Ooma Telo, there in 2011. 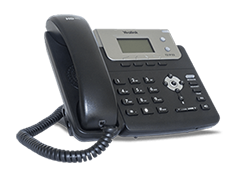 Ooma Office combines the crystal-clear and affordable calling of Telo along with advanced business features. Microbusinesses can look and sound like big businesses thanks to Ooma’s virtual receptionist, extension-dialing, music-on-hold, virtual extensions, electronic fax, call logs and more. Like the Telo, Ooma Office is very easy to set up as there is no wiring involved. Set up usually takes around 30 minutes. Since the U.S. launch of Ooma Office, we have received feedback from our microbusiness customers about the product’s positive impact on their phone bills. The high cost of traditional phone service in the U.S. means most microbusinesses spend around $300 a month on their phone bills. Canadian microbusinesses face an even bigger price tag due a shortage of telecom providers and high taxes and fees. Ooma’s competitive price point has helped U.S. customers cut down their bill by 50 percent to 75 percent and we expect Canadian businesses will see comparable savings. This in turn means extra savings for the mom and pop shops, restaurants, doctors and retailers that keep the economy going. Ooma Office will retail at an M.S.R.P. of $249.99 CAD, $9.99 CAD per month per user and $9.99 CAD per phone number. 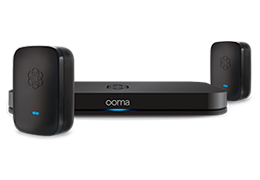 Ooma Office includes a one-year limited warranty and a 30-day money back guarantee. Additionally, live customer service is available by phone in both English and French. Please see www.ooma.com/ca for more information about Ooma’s availability in Canada.